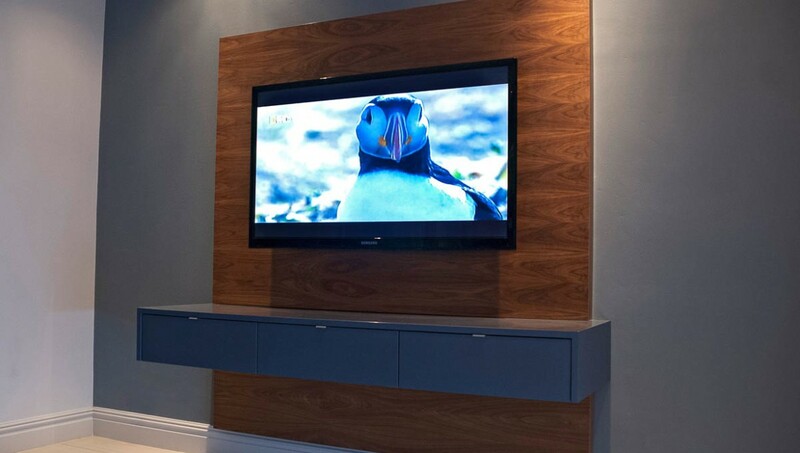 When it comes to ensuring we deliver a high quality, professional installations for our clients. Choosing the correct products to work with is as important as the planning and installation itself. 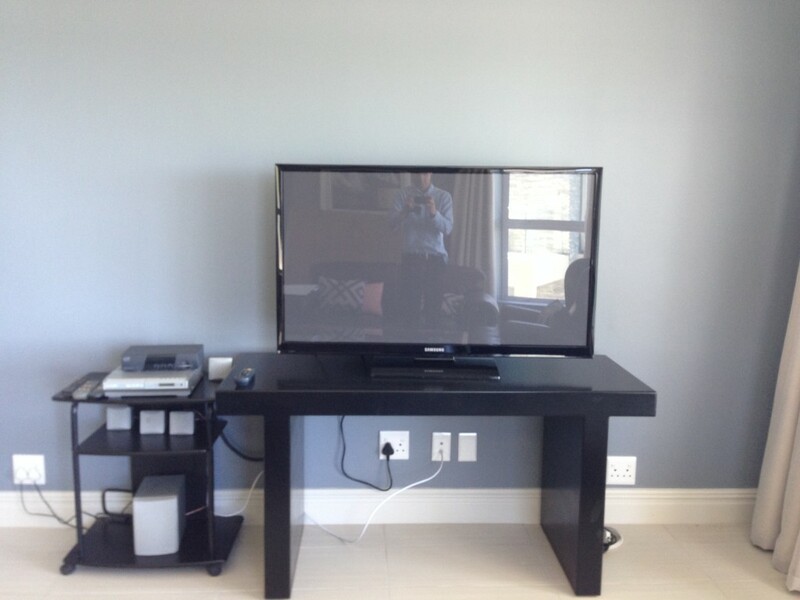 We were approached to install and ODE Floating Television Unit for a client of ours in Camps Bay. 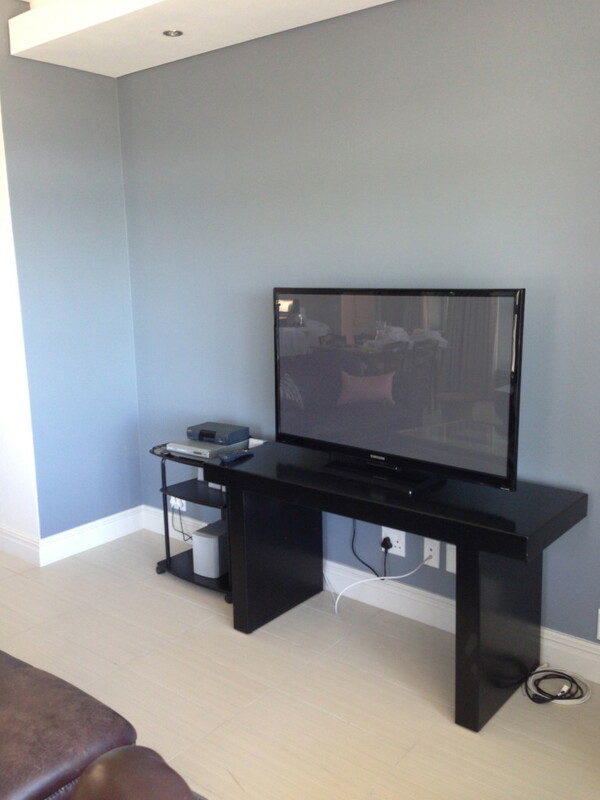 The Television had been installed on a small table which had been placed against the wall. 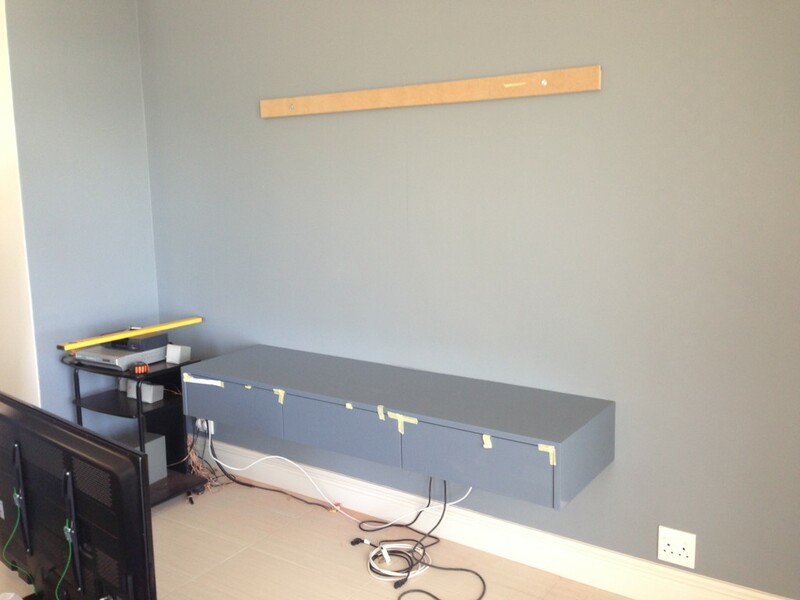 With an adjacent pedestal that the DSTV decoder and DVD player had been placed on. Measured out the mounting heights for the bottom panel. Mount the bottom panel bracket. Mounting of Bottom Panel Bracket. 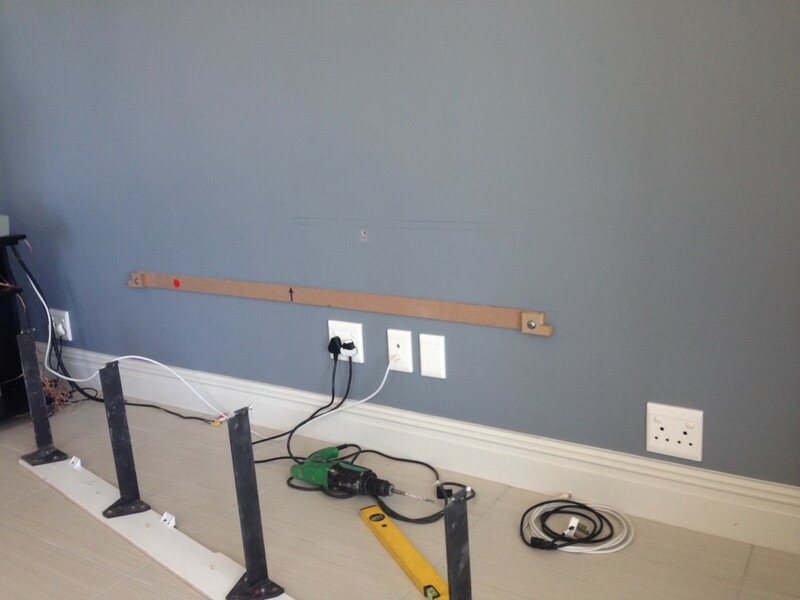 Mounting of the floating shelf bracket. Hanging the floating shelf on its bracket. Measuring out and mounting the top panel bracket. Top panel hanging. 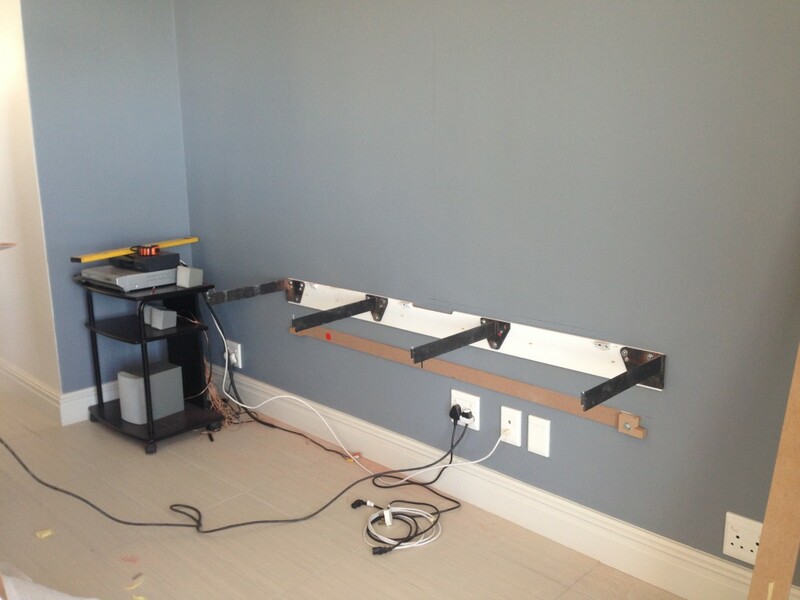 Next mounting television bracket. 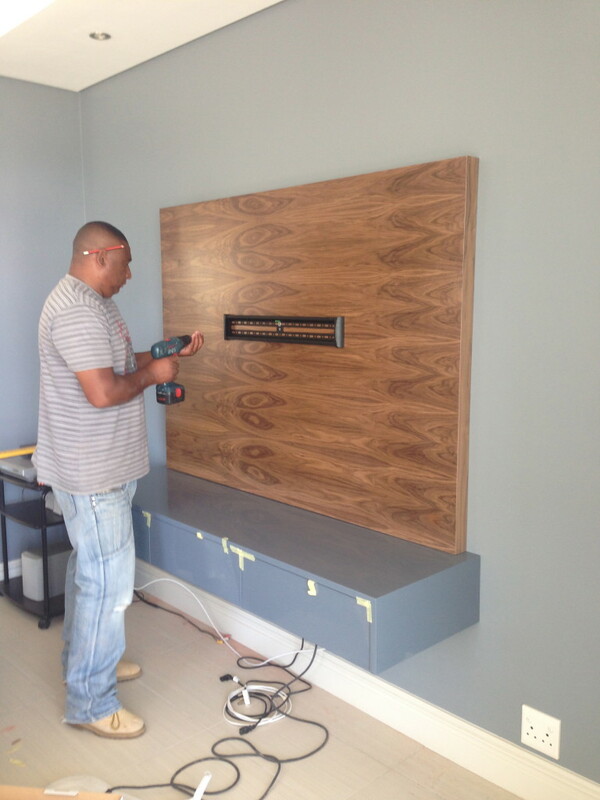 Lionel mounting the television bracket on the Top Panel. 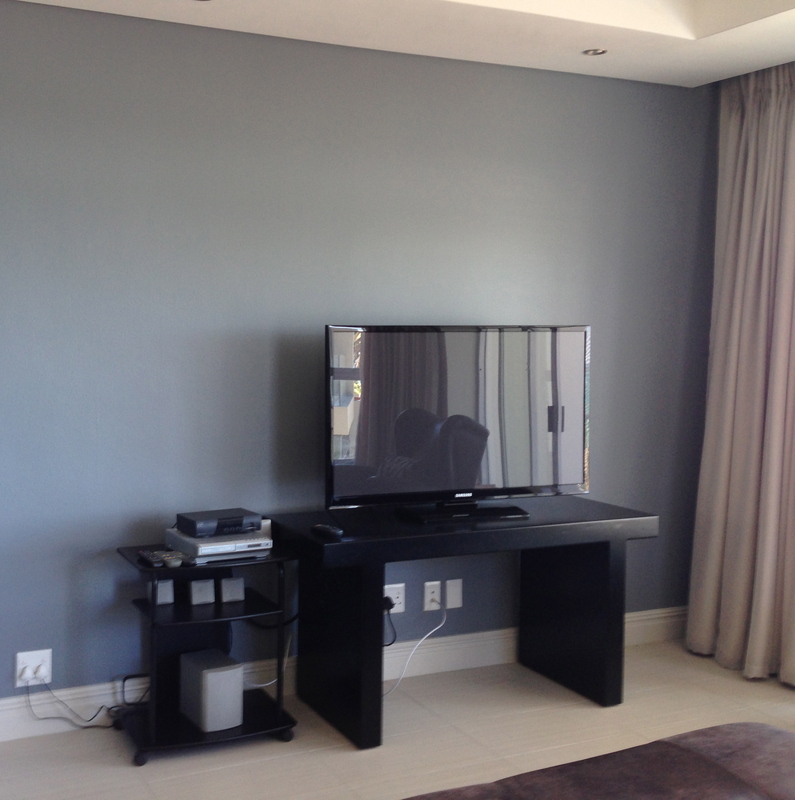 This apartment is used as a holiday apartment for our client. While they are not in Cape Town it is also rented out. With this in mind the audio video installation was kept to a minimum. A single view DSTV decoder and a DVD player are housed in the center drawer of the floating shelf. While the other two drawers are used for storage. 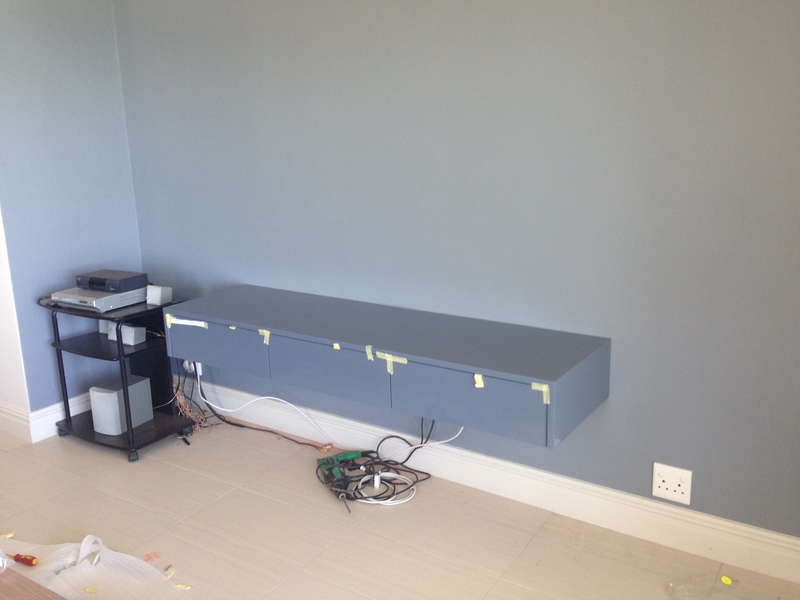 Bottom panel installed to hide all plugs and cabling for DSTV decoder. Total time for this installation was 5 hours. 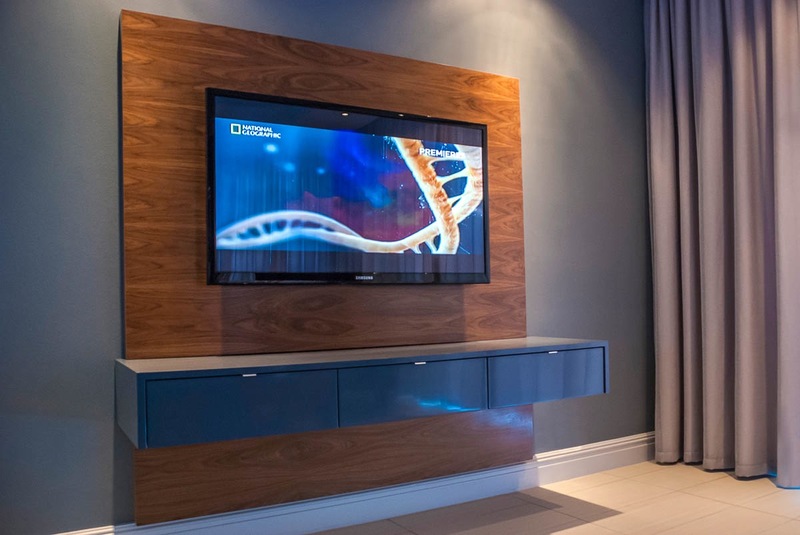 We were very proud of the final installation and are looking forward to installing more ODE Floating Television Units again in the future. View our professional photographs of this installation on our Portfolio.